When I first made this meal, I could not stop bragging to whoever would listen; namely, Gaspar and the dog, and with them that whole “listening” thing is subjective. But seriously? It’s effin’ amazing! The flavors are just outstanding, so bright and intense. 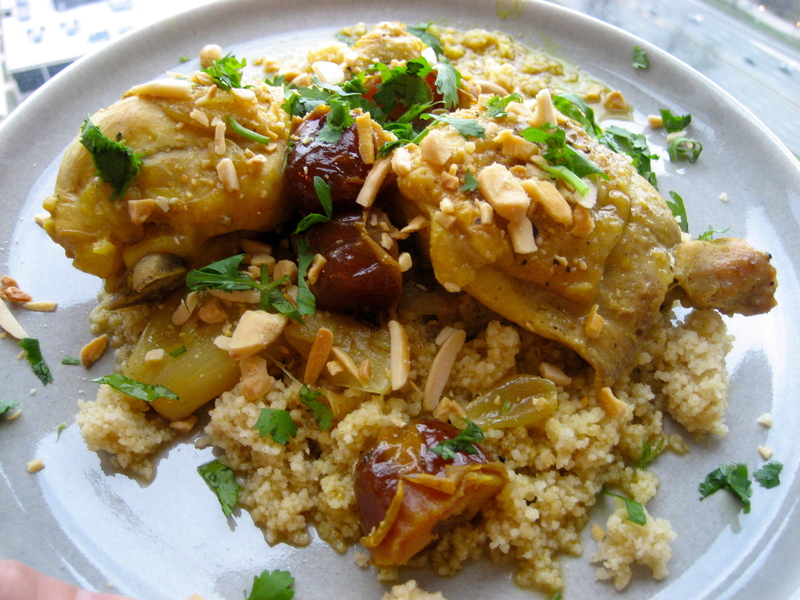 As someone who dreams of traveling to Morocco one day, I can promise you if the food tastes like this, I will return with some significant extra meat on my bones. There’s so much to love about this combination of flavors, I’m pondering where else I can apply them. 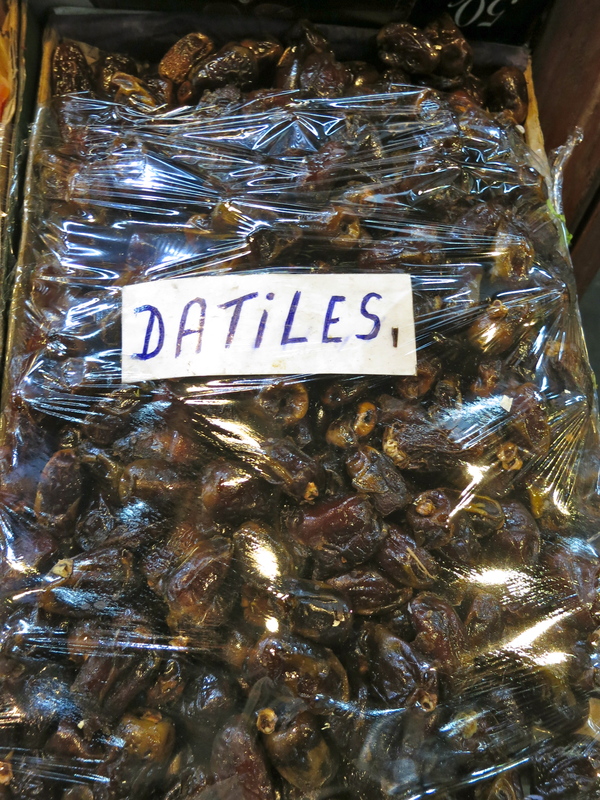 And I really want to experiment more with dates. I’ve always loved the bacon-wrapped variety, particularly when they’re also stuffed with manchego, but I suppose that’s a bit obvious. What type of person wouldn’t love bacon-wrapped cheese-stuffed anything, really? But in this recipe their sweet candied taste and meaty texture really shine and bring the whole dish together. I’m on the hunt for more ways to prepare them, so send me your date recipes! 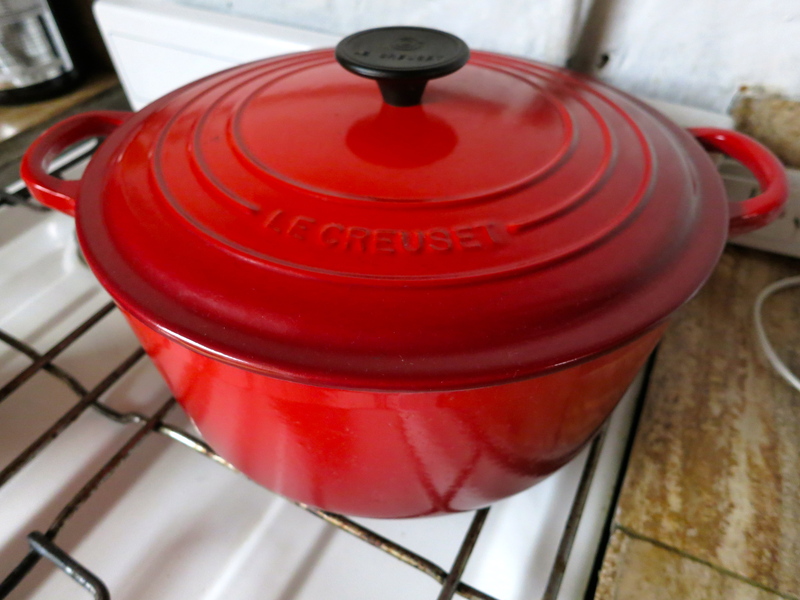 I love making this in my round Le Creuset French oven, not only because the results are stellar, but also because it’s just such a beautiful piece of cookware. Shout out to the Director of Indulgence for the excellent gift! 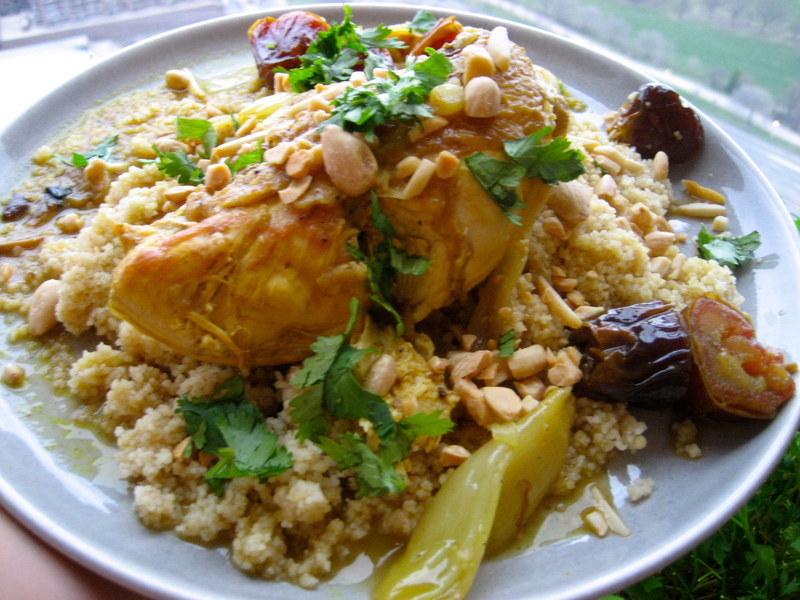 I’m sure it would also do well (and appear all the more authentic) in a tajine, but any heavy pot with a lid will do just fine. This recipe is adapted from one that appeared in Bon Appetit. I serve it over quinoa or couscous. Sprinkle chicken pieces with salt, pepper and flour. Heat olive oil in heavy large pot over medium-high heat. Add half of chicken pieces to pot and cook until well-browned on all sides, turning occasionally, about 15 minutes. Transfer chicken to baking sheet or platter. Repeat with remaining chicken. Pour off all but 2 Tablespoons of fat from the pot and discard. Reduce heat to medium. Add shallots to pot, and saute until golden, about 6 minutes. Add cinnamon sticks, ginger, cumin and cayenne. Stir until fragrant, about 1 minute. Increase heat to high and add broth and 3 Tablespoons of lemon juice. Bring to boil. Reduce heat to low, cover, and simmer until shallots begin to soften, about 18 minutes. Place chicken pieces on top of the shallots in the pot. Bring to a boil over medium heat. Reduce heat to medium-low, cover, and simmer until juices run clear when thickest part of drumstick is pierced with a knife, about 25 minutes. Transfer chicken and shallots to platter and tent with foil. Boil juices in the pot until slightly thickened. Stir in dates and remaining 2 Tablespoons of lemon juice. Reduce heat and simmer gently until dates are heated through, about 2 minutes. Pour sauce and dates over chicken. Sprinkle with almonds and cilantro, and serve.